Grech’s Turf Supplies, established since 1975, are Sydney’s premier supplier of cultivated turf and sporting grass surfaces. GTS has recently been taken over by new owners with over 30 years experience in the turf and irrigation industry. The staff and management team at GTS remain unchanged ensuring continuity of quality and service. GTS carry a full range of grass types for every location and every purpose, whether it is a large or small job. With licenses to sell all the various types of turf whether it be for low maintenance front yards to quality golf putting greens we have the turf for you. We are conveniently located at Windsor in Sydney’s north west, within easy driving distance of the Sydney CBD. You are welcome to visit the farm, view our display beds and speak to our fully qualified staff about all your turfing needs. Alternatively, for convenience, you can order online and have your turf delivered throughout Sydney and other regional areas. For advice and tips on turf laying or maintenance you might want to check out our turf installation and lawn care pages. February 2017: Neale Tweedie from Grech’s Turf, Atlas Turf and Hawkesbury Valley Irrigation has been appointed to the Turf Australia Board. Turf Australia’s board, at their last meeting, acknowledge the wealth of industry knowledge and expertise Neale will provide to the board. 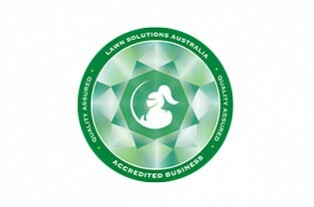 When you buy from an Accredited LSA Grower such as Grech’s Turf, you can rest assured you are getting the very best quality & service available.